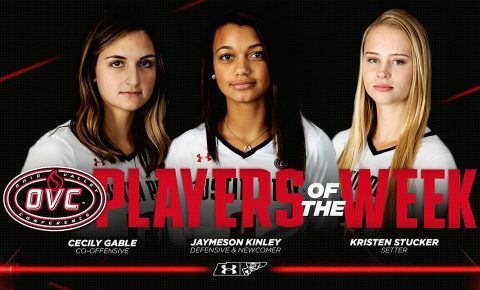 OVC Offensive Player of the Week | Clarksville Sports Network - Clarksville Tennessee's most trusted source for sports, including Austin Peay State University. 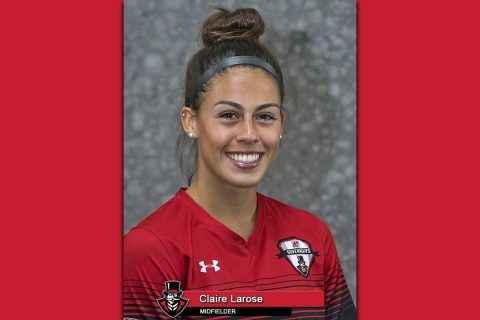 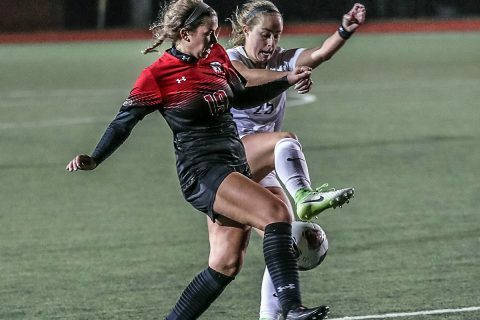 Brentwood, TN – After scoring both goals for Austin Peay State University (APSU) women’s soccer team in the opening weekend of conference play, Claire Larose was named Ohio Valley Conference Offensive Player of the Week, as announced by the league office, Tuesday. 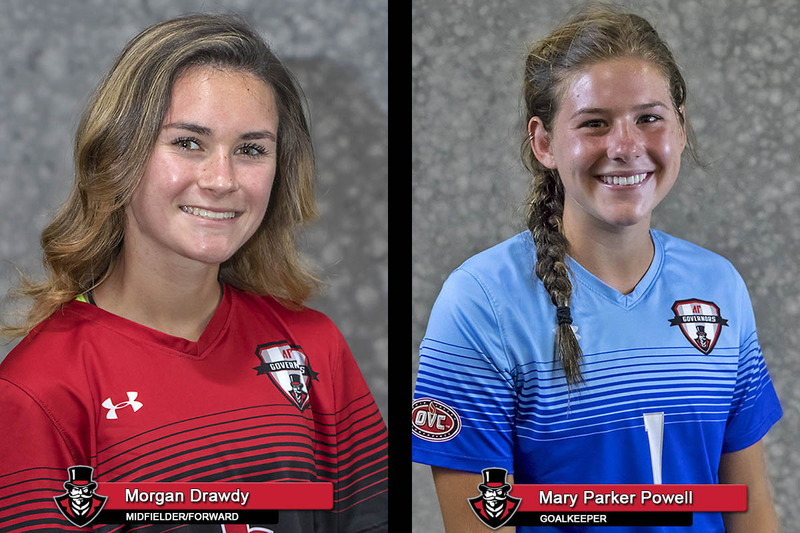 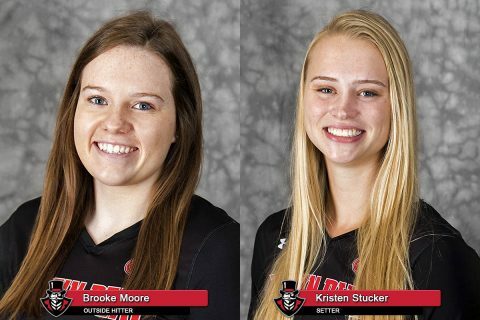 Brentwood, TN – Morgan Drawdy (offensive) and Mary Parker Powell (goalkeeper), of Austin Peay State University (APSU) women’s soccer team, were named Ohio Valley Conference Players of the week, as announced by the conference office, Tuesday. 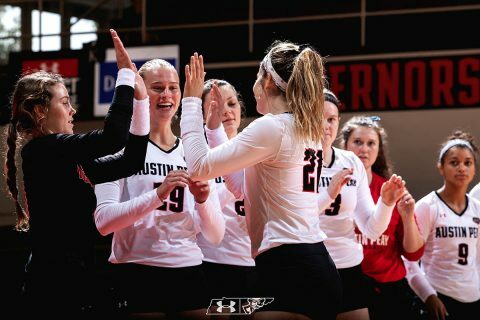 Murfreesboro, TN – After sweeping its opening weekend road trip, Austin Peay State University (APSU)’s volleyball team returns to the road for a Friday-Saturday stay at the MT Blue Raider Bash. The Governors open the tournament with a 7:00pm, Friday, August 31st, 2018 contest against host Middle Tennessee that can be seen on C-USA’s Digital Network. Austin Peay then faces Stetson and Troy in Saturday action to conclude their stay in Murfreesboro, TN. Brentwood, TN – After an impressive opening weekend in Kansas City, Austin Peay State University (APSU)’s volleyball team dominated the Ohio Valley Conference’s volleyball awards for the opening weekend. 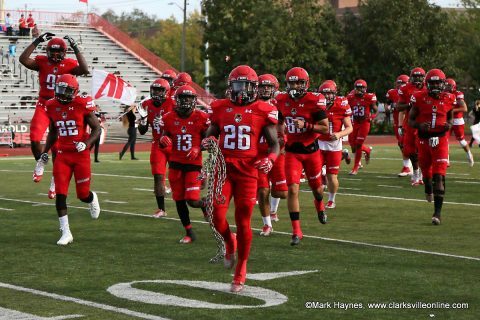 Clarksville, TN – In the final game of the 2017 regular season, the Austin Peay State University football team will take on Ohio Valley Conference for Eastern Illinois 4:00pm, Saturday, November 18th, 2017 at Fortera Stadium in Clarksville. 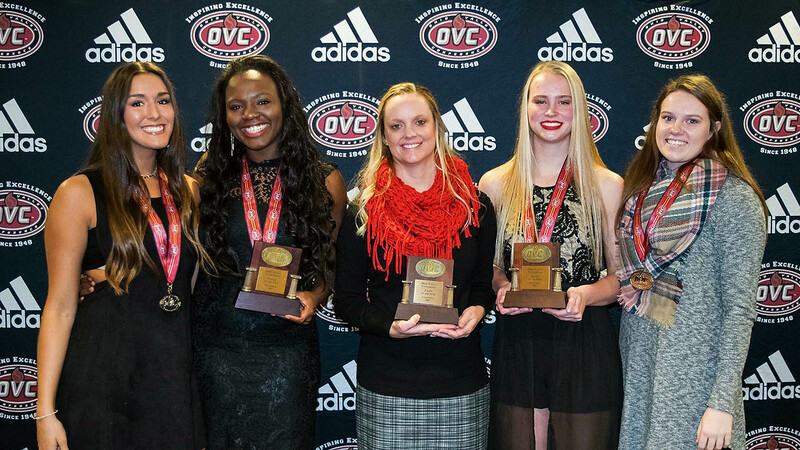 The Governors return home for the first time in almost a month after picking up back-to-back road wins at Tennessee Tech and Eastern Kentucky. 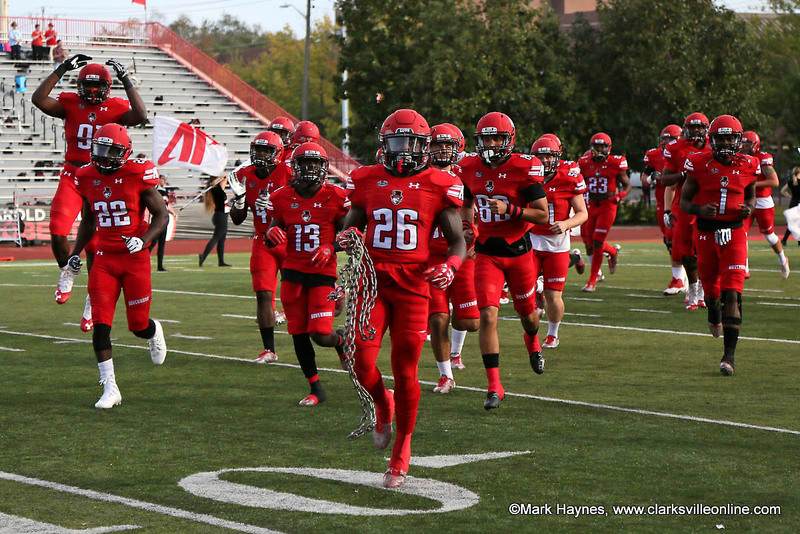 Austin Peay Football hosts Eastern Illinois Saturday at Fortera Stadium. Clarksville, TN – Austin Peay State University volleyball’s senior middle blocker Ashley Slay, junior setter Kristen Stucker and head coach Taylor Mott each received one of the Ohio Valley Conference’s major year-end awards, presented Wednesday night prior to the start of the 2017 OVC Volleyball Championship at the Dunn Center. 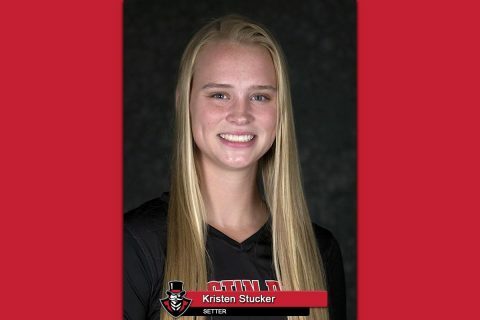 Brentwood, TN – Austin Peay State University junior setter Kristen Stucker closed the 2017 regular season by claiming her 10th adidas® OVC Setter of the Week award, Monday. 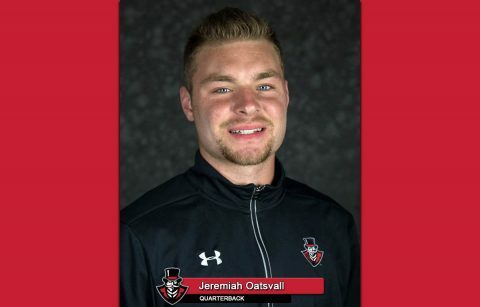 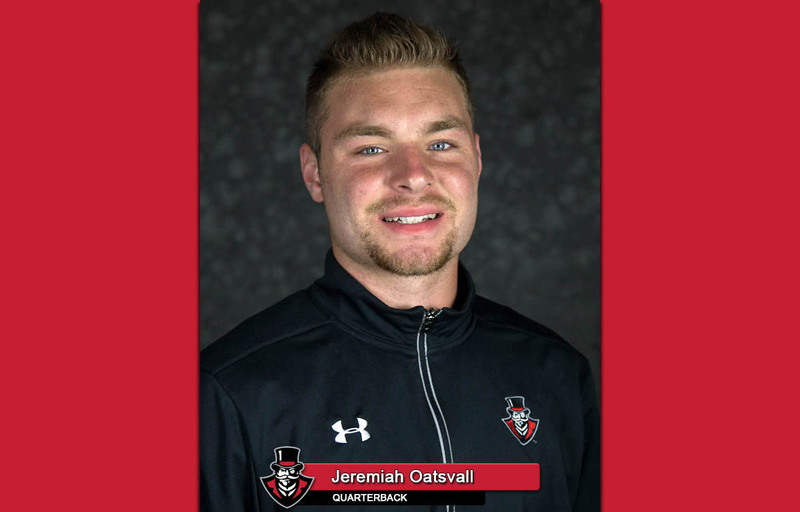 Brentwood, TN – Freshman phenom Jeremiah Oatsvall, of the Austin Peay State University football team, has been selected as the adidas® Ohio Valley Conference Offensive Player of the Week and Newcomer of the Week, announced by the league office Sunday.